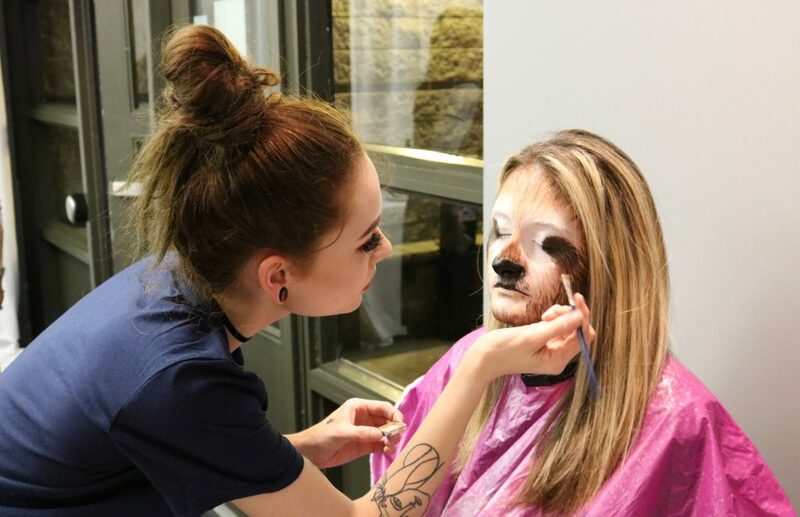 While most people were preparing to relax on the Friday before reading week, some Sheridan students were showing the public the best they had. Sheridan held its gala The Big Picture, sponsored by The Sheridan Foundation featuring performance of Footloose by the Sheridan theatre production students and an afterparty with the cast and crew. As part of the fundraiser, tickets were raffled off for the Broadway musical Come From Away, which was developed and produced by Sheridan and The Canadian Music Theatre Project. Those who didn’t win also were given theatre tickets for Sheridan productions. The event transformed Trafalgar Campus’s B-wing from a grey hallway into a vibrant gala, with a bar, arcade machines, and a Broadway-style marquee. But the theatre program wasn’t the only one showing off their skills. Photography, Make up for Media & Creative Arts, and Interior Design were some of the programs that had a display out where they could explain what they did in their program and show off some of their work. “So they wanted a select few programs to represent themselves for people to mix and mingle,” explained Tanya Marokovic of HMC’s Interior Design program. 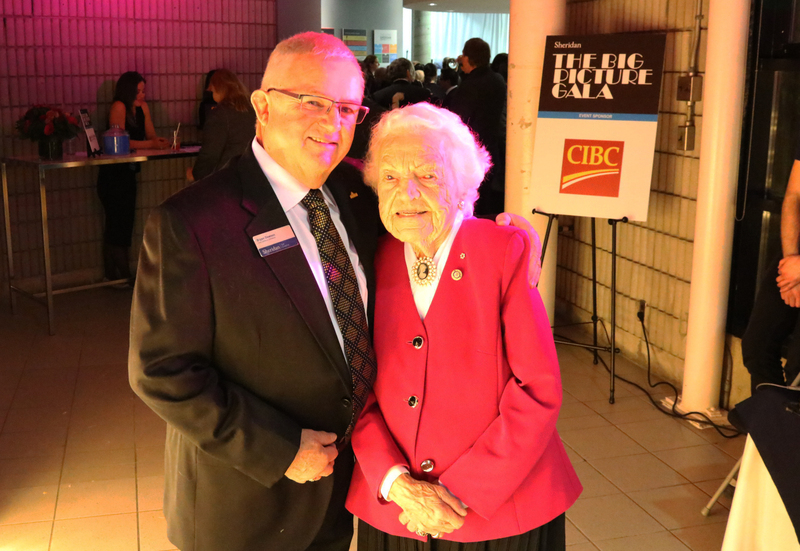 Chairman of Sheridan’s Board of Govenors Bryan Dawson and Chancellor Hazel McCallion were one of the big highlights for attendees. But the performers weren’t the only stars at the gala. Sheridan Chancellor Hazel McCallion and chair of Sheridan’s Board of Governors Bryan Dawson were in attendance. “Tonight is important because it gives the community, those people that have purchased tickets to come to this event an opportunity to get a feeling for what we do in the arts program, to show off some of what we do, to have an opportunity to meet our chancellor and its just great to show the people what Sheridan is about,” said Dawson. Andrew Semkow is a second year journalism student, originally from Bracebridge. His interests are photography, arts, and travel.